Entertainment THE award-winning Pool Deck is back! Entertainment WELCOME back to the summer festival season. Food & Entertainment THERE is one thing you shouldn’t bring to Brisbane - a full stomach. Lifestyle IT'S the year of the safari tent; and it’s next level glamping. Lifestyle BRISBANE is the jewel in the hiker’s hat for top walking trails. 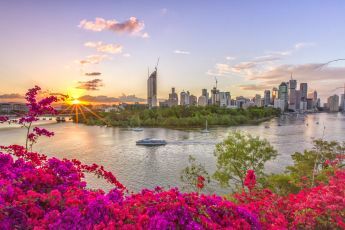 Entertainment THIS summer is event central in Brisbane. Whats On CHRISTMAS time is tough on the hip pocket. Lifestyle SOMETIMES a city escape is just what the travel bug ordered. Lifestyle SCOTCH, Whiskey and Whisky; it all gets a bit confusing. Lifestyle NORTH Stradbroke Island is the perfect getaway. Lifestyle Brisbane's dishing up the mountain-hiking goods! Lifestyle YOU'D be mistaken in thinking Brisbane wasn't an arty city. Lifestyle THESE are the perfect places to hang this winter. Whats On THE arts and culture events you don't want to miss. Lifestyle NOT every date has to cost you a bomb. Lifestyle A GOOD bucket list doesn’t have to span continents or cost millions. Whats On IF THERE is one thing Brisbane does damn well, it’s play host.